The Crowded Desert is a joint Qatar Museums - UCL Qatar survey project in the Umm Al-Ma'a - Mleiha area of North West Qatar. Dr Jose Carvajal Lopez, Dr Robert Carter, Dr Richard Fletcher and Dr Laura Morabito oversee research and field activities in the area. Fieldwork commenced in the area in February 2015. The project is an ambitious multi-scale programme of field surveys and excavations aimed at producing a deeper knowledge of the human presence in the Qatari desert. Particular focus will be given to the dynamics of nomadic settlement and mobility strategies, as well as to their relationships with sedentary communities along time. The main aims of the project are to provide an overview of population dynamics in the Umm Al-Ma'a - Mleiha area across time and to shed new light on long-term patterns of mobility and sedentarism in the Qatari desert. Beyond these objectives, the project will pursue a number of goals. It will serve to integrate the available clusters of archaeological data in their landscape context and to sequence them in a diachronic perspective. It will map the presence of nomadic groups along time, which is often difficult to document archaeologically. Further, the project will seek to contextualise funerary landscapes in the framework of social and economic landscapes. It will include analysis of the diachronic evolution of settlement and mobility strategies in the Umm Al-Ma'a area. An additional aspect of the project is that it will act as an opportunity to train Qatari archaeologists, cultural heritage professionals and UCL Qatar students in fieldwork methodologies and techniques. The general methodology of the project will be based on a multi-scale and multi-source approach, taking advantage of computer applications in archaeology. In the field, extensive and intensive survey will be combined with targeted excavations. 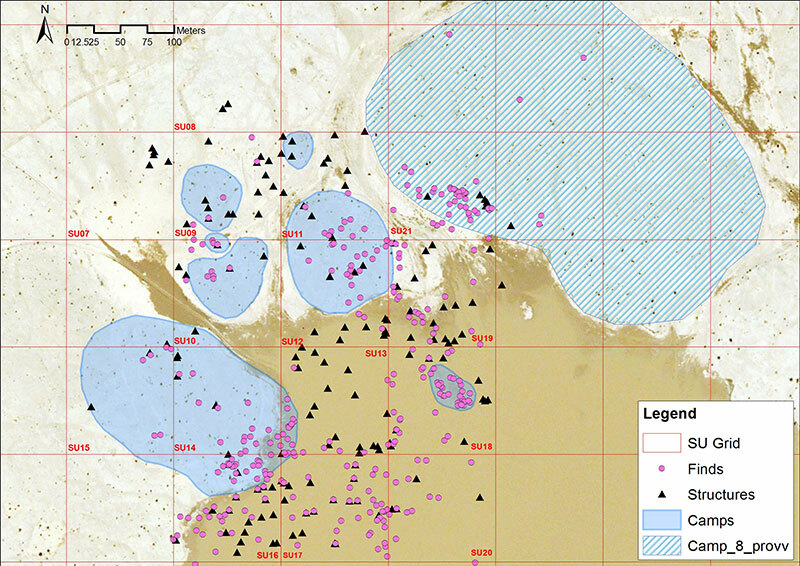 The combination of these methods is in itself a powerful tool for integrating the previous knowledge of the area under study and new data coming from geophysical surveys, geoarchaeological data and satellite images. The progress of the project will be documented through periodical blogs, which can be accessed below, on the main news feed of the UCL Qatar website and across UCL Qatar's various social media platforms. Admissions for the 2018 academic year are now open. The deadline to submit an application is 5 July 2018 for enrolment on 16th September 2018.